...How many different MMOs does Funcom have up right now? And given how meh the last one was, can they actually handle another? Didn't they already try a lego MMO? And fail? Yeah, It was called Lego Universe. Mentioned in the article, underlined and in blue text. They have their original one Anarchy Online, which is still going after years in F2P, Age of Conan, and Secret World. 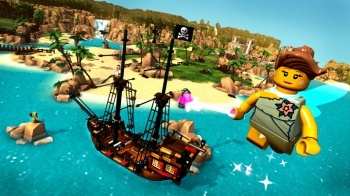 Ohhhh Pirate World, Space World and Medieval World, so exiteing! tryed watching the trailer, couldn't keep watching after they made a fart joke. No idea what you're talking about, The Secret World was my personal GoTY 2012. Your attempt at passing opinion off as fact has once more failed.